I’ve never been much into uni touring; riding a unicycle always takes a bit more concentration than riding a bike, so I never get that beautiful feeling of floating through a place that I can get when I’m bike touring. 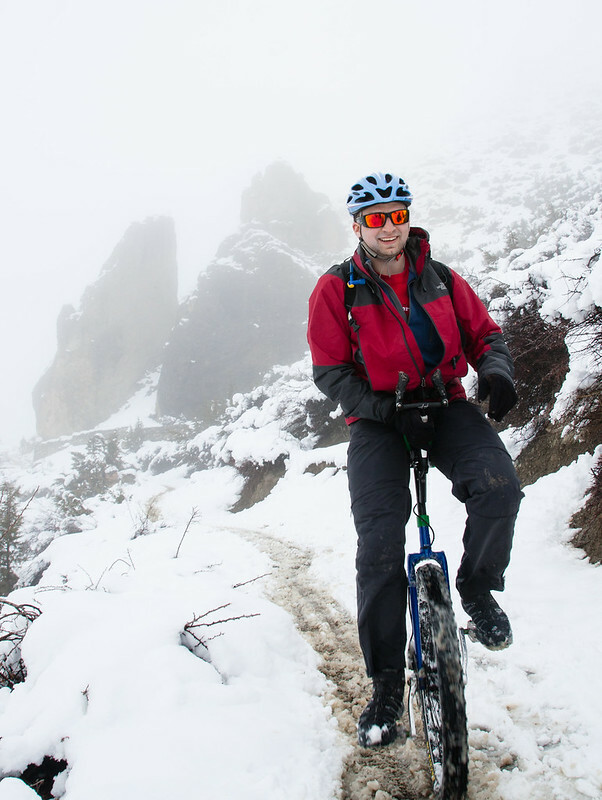 But this year’s Adventure Unicyclist tour intrigued me; the crew was headed to Nepal to trek the Annapurna Circuit, with all the riding on dirt. Nepal’s been on my list for a long time, and I love dirt. So after rearranging my life schedule a bit, I managed to fit in two weeks to join 27 other riders on the Unipal tour. The plan was to have seven riding days on the Annapurna Circuit, starting in Bagarchhap and finishing in Jomsom. This is one of the world’s classic hiking treks, beautiful and challenging, with the high point at Thorong La Pass at over 5400 meters. A true epic; how could I miss out?